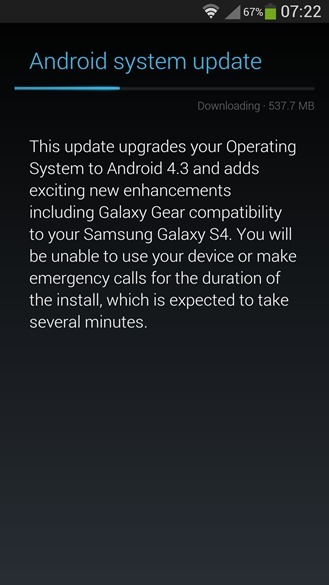 Verizon got it first (for once), but now it's time for Samsung Galaxy S4 owners on Sprint to get their Android 4.3 update on. The over-the-air download should be disseminating today, though we've yet to see confirmation from Sprint itself. 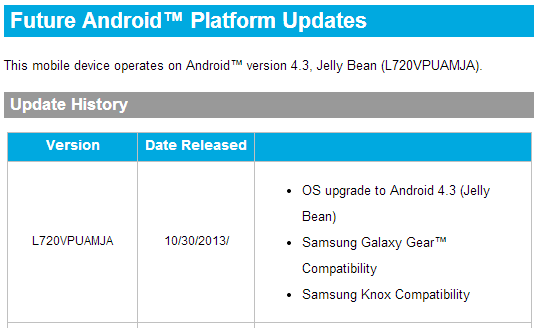 Assuming that it is indeed going out, the update comes right on schedule, according to a leaked Samsung document. 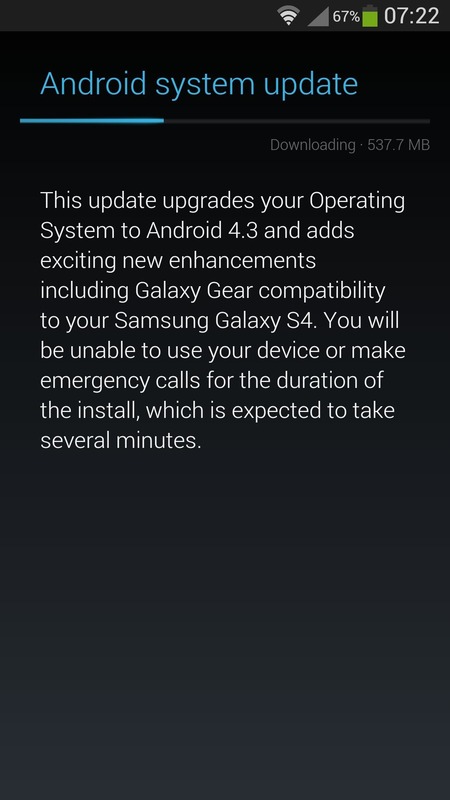 In addition to the standard Android 4.3 features, the OTA download (L720VPUAMJA) delivers compatibility with the Galaxy Gear smartwatch and Samsung's Knox encryption system. If there are any other significant changes to the software Samsung isn't saying, but you can expect tweaks to various TouchWiz apps and settings. There's no word on the download size, either. If you don't see the update, keep in mind that carriers tend to send these things out in waves. It may be a day or two before the new software reaches your phone... and then another couple of days for it to download on Sprint's network. Update: Yup, looks like the update is already going out for at least some Sprint users. it's a whopping 537MB download, so head for the nearest WiFi hotspot if you can. Thanks to commenter firecar25 for the screenshot.